zAdapter® Bluetooth Speaker Phone is the perfect choice in hands-free portability. zAdapter® Bluetooth Speaker Phone can be paired with up to 8 devices. It can be used in door and in car as well. The strong signal coverage up to 33 feet. 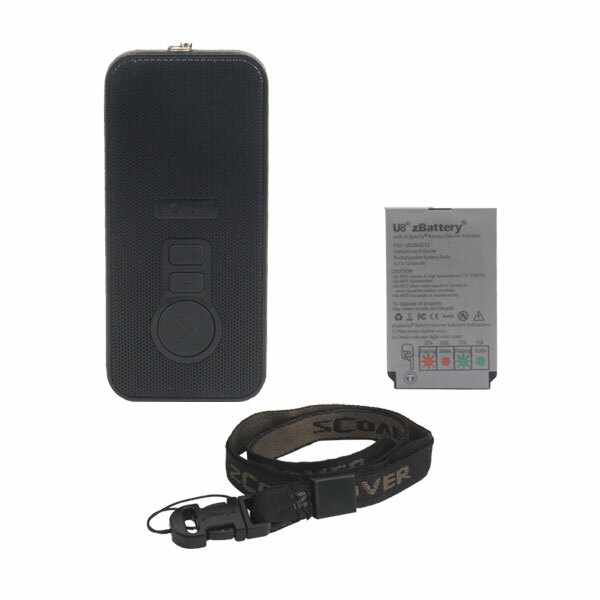 zAdapter® Bluetooth Speaker Phone is powered by zCover CI925 U8 Li-ion battery with Power level Indicator. Talking time is up to 10 hours and standby time up to 200 hours. It’s wearable around your neck with a lanyard, attach to the apparel with universal belt clip or around your arm with universal armband. It’s portability allows users to stay connected wherever they go and keep their hands free while performing their duties. zAdapter® Bluetooth Speaker Phone has a super loud speaker, it is good for conference; It also comes with dual microphone strong noise cancellation function, privacy handset Mode and lanyard loop. 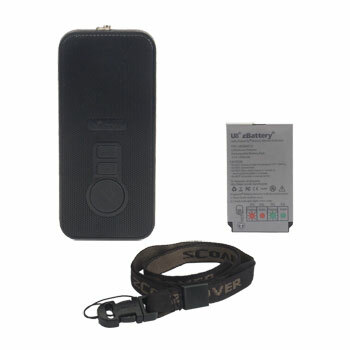 It has strong signal coverage up to 33 feet range, good for conference. Its private talk feature allows user to have private conversation whenever it’s needed. zAdapter® Bluetooth Speaker Phone can pairs with up to 8 devices, including Cisco 7926G/7925G/7925G-EX Wireless IP Phone, iPhone, Blackberry, or any device with blue tooth capability. Keep users stay connected with patients, colleagues, family & friends while they’re working. Multiple wearable options, compatible with zCover most interchangeable accessories, including Universal Belt Clip, Shirt Clip, Universal Armband, Lanyard, Hand Strap, Bungee Cord, Adjustable Shoulder Strap, Window Clip, and Sun Visor Clip. It provides more options to users for wearing it in different ways to meet different needs. Charging port available for charging the Bluetooth speaker phone with Cisco original or zCover adapter. 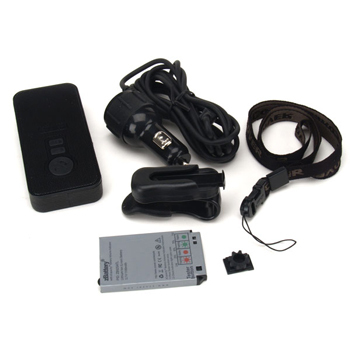 The portability of the speaker phone can be used indoor, in your cars or anywhere with your devices. It can be charged with zCover CI925 charging dock or the Bluetooth Speaker phone set. The Bluetooth speaker phone has equipped with super loud dual microphones which provide much better reception even around noisy environment. The special noise reduction built-in function eliminates the back ground noise and improves the ability of communication. 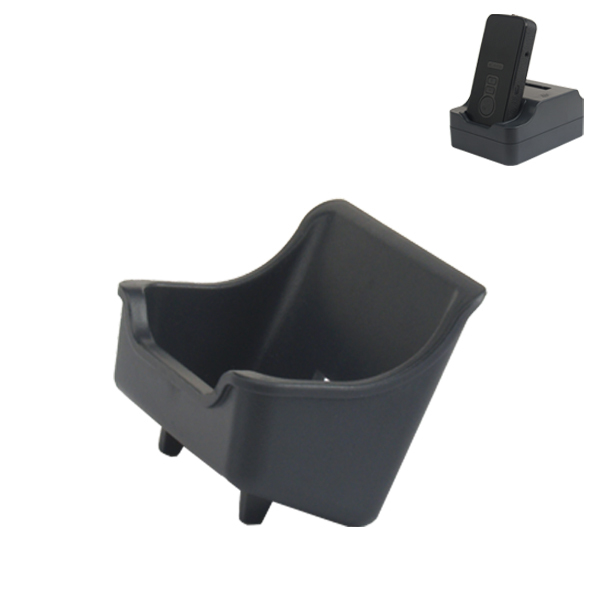 ZB925CUP is designed for CI925ZDA desktop charger which allows user to charge the Bluetooth Speaker Phone.